First time on the market! Gorgeous custom Colonial home in coveted 'Scottow Hill Woods'! Enjoy a sunny, open floor plan...great for entertaining.... with many appealing features including 9 ft ceilings, wood floors, cherry cabinetry with marble counter-tops, first floor laundry, dining room, living room with fireplace and screened in porch! 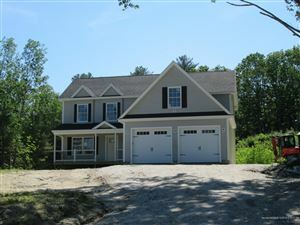 The second floor has a generous master suite over the garage with 3 closets, a fireplace and master bath with soaking tub! Quite a retreat! 3 additional bedrooms with full bath and a 3rd floor bonus room with skylights. The basement is a daylight walk out and dry! Located across from the association field of over 5 acres. This neighborhood is centrally located and easy to jump on 95, 295, Maine Mall, Beaches, Schools and you can be in downtown Portland in 15 minutes!